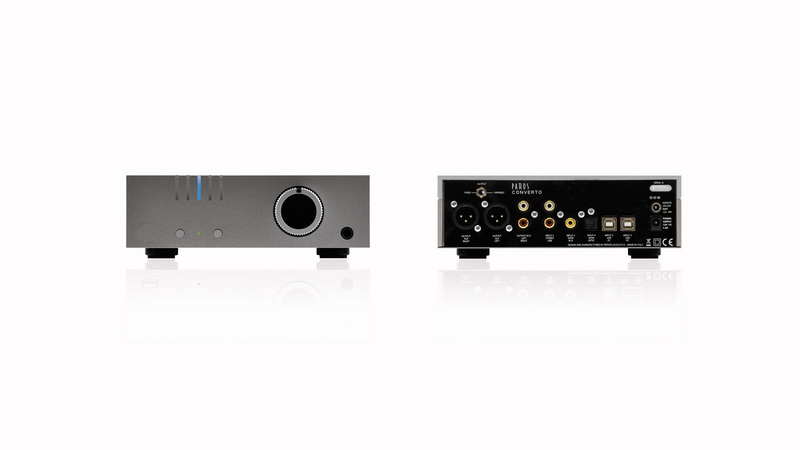 Converto Mk2 is a DAC amplifier with high quality performances and built up by selected fine components. It allows satisfying all those music lovers who want to get the best from their digital source. HiDac Mk2 means music without borders and easy to manage: this way the goal that the Lab Pathos has been established before tackling this new adventure. The answer was ready and clear with the birth of HiDac Mk2, giving many performances at 32 bit and 384 KHz, due to the new ESS9018K2M converter, and prodding the best, easier and more complete enjoyment of digital music. HiDac Mk2 will be able to receive all your music from your PC by USB or from a digital source by S/PDIF. Converto Mk2 supports a fully balanced circuit and gives appropriate input options, such as coaxial S/PDIF, optic S/PDIF, USB of type B and analog RCA line. Inside can be found an integrated amplifier, designed for headphones fans. Its minimal construction conveys elegance as well. Aluminum has been used both for panting and for frame, on the upper part can be found our carved logo. This unit works in a very simple way: two buttons on the front panel enable stand-by mode and inputs selection. A blue led on the upper front part also displays the latter function. Featuring compact dimensions and clear design, Converto Mk2 is available in two finishes and, if combined with In The Groove and AmpliD, will set up a perfect audio system both for digital and phono source. This product is entirely handmade in Italy.